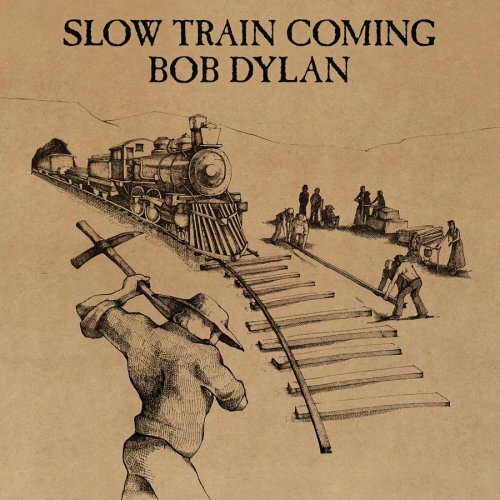 Slow Train Coming is singer-songwriter Bob Dylan‘s 19th studio album, released by Columbia Records in August 1979. 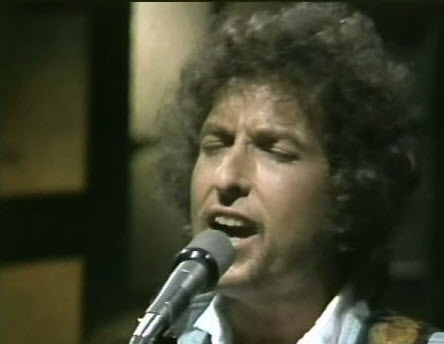 Despite the mixed reactions to Dylan’s new direction, “Gotta Serve Somebody” was a U.S. Top 30 hit, and the album outsold both Blood on the Tracks and Blonde on Blonde in its first year of release, despite missing the top of the charts. It even managed to place at #38 on The Village Voice‘s Pazz & Jop Critics Poll for 1979, proving he had some critical support if not universal acclaim. I had just left Saudi Arabia after a 3 month work stint and had flown to Amsterdam for some R&R. I remember buying both “Slow Train Coming” and Van Morrison’s wonderful “Into The Music” there. I distinctly remember listening to them on an night train ride to Paris, loving them both. Sometimes the circumstances of where and when you first hear something makes an indelible impression and a lifelong connection. I saw a show at the Warfield, as well, with that amazing band Dylan had assembled that included Jim Keltner and Tim Drummond in the rhythm section. Warfield 79… legendary shows. I didn’t see any of them (being 10 & living in western Norway), but I’ve got 4 of them (6,7,11 & 16) and sound is…. good enough.